Arrgghhh, busy busy busy today so I have ran out of time to write a full countdown, so this will be a quickie. My top 10 platform video games! I normally apply a rule in my top 10's that a franchise cannot make multiply entries, but I make an exception on this one due to a certain Italian bog installer. I will attempt to sum up my choices with short, descriptive words and brief statements. Apologies for the succinctness, I will return to full mushroom-starman power tomorrow. Maybe. #10 Flashback - Mysterious happenings and memory loss. Unseen threats and creepy aliens. Post modern bleak world covering jungle, cities and underground. Top class motion capture animation and 3D cut scenes. Excellent. #9 Shinobi - Death stars thrown, fat man with swords, spider-ninja's and hostages. Big supernatural bosses, mystical spells. Many vertical platforms, difficult and memorable. Best bonus stage ever! #8 Metroid 2: Return of Samus - Female arse-kicking cyber suited hero. Saving the Galaxy from Space Pirates. Exclusive to Gameboy. Tough multi-directional platforming sci-fi action. Boom! #7 Turrican - Heavily armed bio-engineered mutant. Evil alien rulers. Lost colony of Earth. Many ways to complete levels, madly colourful and bright graphics. Some of the best visuals ever for the 8-bit systems. Zap! #6 Sonic the Hedgehog - Fast, very fast. Blue anthropomorphic hedgehog with attitude rescues the captured animals of the lands. Fights Dr 'Eggman' Robotnik. Mega Drive classic, the only real rival for the Mario series. Blurry! #5 Prince of Persia - Man in pyjamas attempts to save his princess love from an evil wizard. Groundbreaking captured animation and sprite movement, clever puzzles and gory traps. Simple but eye-catching graphics. Outstanding! #4 Donkey Kong Country - Angry and mean ape returns as a protagonist, accompanied by his son. Search for banana hoard, jungle hi-jinks at it's best. 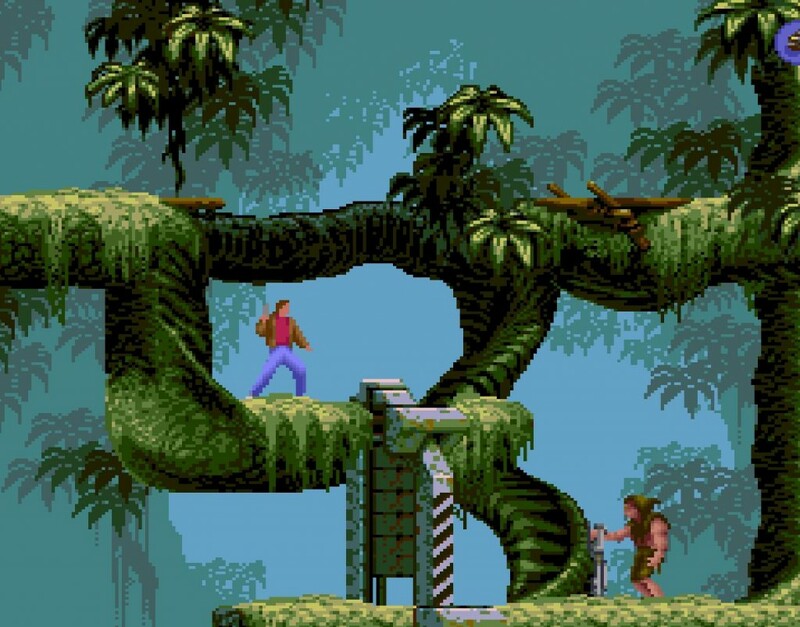 Awesome 16-bit visuals and sound. Barrel blasting and mine-cart mental difficult! #3 Super Mario Bros 3 - Plumber sets off to rescue Princess Peach, fighting against ghostships and koopas. Massive Mario adventure, un-put-down-able. Secret whistles and fancy dress customs that give super powers. NES classic. #2 Super Castlevania IV - Dracula and his demons rise agian, Simon Belmont sets out to kick his ancient behind, whip in hand. Level design brilliant, fine graphics and great use of Mode 7 effects. Plodding a tad, but wonderful music. Whoop-aahh! You should have seen the gun he was shot from. #1 Super Mario World - Bowser kidnaps Princess Daisy, Mario and Luigi to the rescue again. Yoshi makes his debut to great effect. Excellent in every conceivable way. Big levels, loads of secrets, hoards of cheeky baddies, long, challenging and so much fun. Best platform game of all time! Okay, no real shocker there. Mario World rules the roost, a truly uncontested classic. What are your favourite platform games? Which ones made you pull your hair out? Sorry again about the briefness of this post, hopefully will get the time tomorrow to give it the full beans with the letter Q. Quizzical! Puzzle games people! Hello, Chris! I love Donkey Kong Country!! That was always my favorite to play on the Super Nintendo. I've played a bunch of these. Thanks for the trip down memory lane! Very cool - Thanks for sharing! New follower here. I'm stopping by from the "A to Z" challenge and I look forward to visiting again. Super mario definitely! I was a big fun of the classic dizzy adventures too.